A cultivator of songs and stories, Stormy's creations tend to group together like fruit from the Song Trees he nurtures. 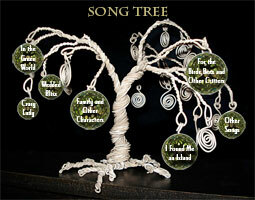 Click on the song tree to partake of the fruit of his labors. Check out Norman's album, Every One Tells a Story, in the jukebox below.